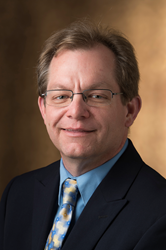 Southern Illinois University Edwardsville has named Steve Huffstutler as Associate Vice Chancellor for Information Technology and Chief Information Officer (CIO). Huffstutler has served in that role in an interim capacity since 2015. SIUE Associate Vice Chancellor for Information Technology and CIO Steve Huffstutler. I am honored and eager to continue to provide dedicated leadership as we steer the ship for uncharted destinations bringing unparalleled services and support to the SIUE community. Southern Illinois University Edwardsville has named Steve Huffstutler as Associate Vice Chancellor for Information Technology and Chief Information Officer (CIO). Huffstutler has served in that role in an interim capacity since 2015. His appointment is subject to SIU Board of Trustees approval. As interim, Huffstutler has led a dedicated staff of more than 100 professionals in support of the University’s technology service, systems, and infrastructure, including academic and administrative systems, telephony, networking and support services. He has managed a $10.5 million annual budget and led Information Technology Services (ITS) through a 17 percent budget reduction. Moreover, he and his team created more than $800,000 in cost savings by collaborating with SIU Carbondale to create shared software and system contracts in addition to renegotiating existing vendor contracts. Provost and Vice Chancellor for Academic Affairs Denise Cobb, PhD, expressed her confidence in Huffstutler and gratitude for the work of the search committee, led by Associate Vice Chancellor for Enrollment Management Scott Belobrajdic, PhD. Huffstutler has served SIUE in various capacities since 1992. Prior to his interim appointment, Huffstutler served as director of Academic and Client Support Services, acting director of Academic Computing, and manager, senior specialist and coordinator of the Faculty Technology Center. He has also served as a technology consultant for the Illinois Board of Higher Education’s Middle-Level Teacher Preparation Consortium through its Teacher Quality Enhancement Grant. He earned a bachelor’s in mass communications in 1989, and a master’s in instructional design and learning technologies in 1996, both from SIUE.